In this post we have got the best list of 10 best mobile games in 2012 which is based on user ratings , reviews and several other popularity factors. We would love to hear which one of these were your favorite and which one did you miss in this list. Rayman Jungle Run reclaims many of the elements pinched by endless runners like Canabalt and folds them back into a lush 2D platformer. 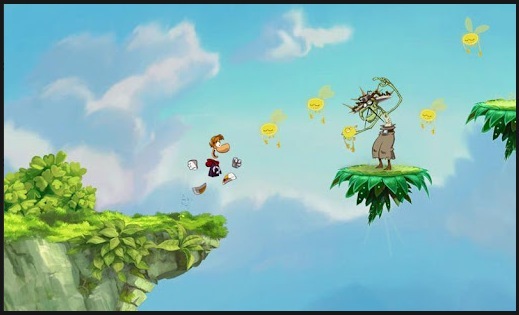 Rayman himself runs from left to right automatically, and it’s up to you to manipulate the one-finger control system to finish each level in record time. Angry Birds Star Wars might be superb, but for our money Angry Birds Space is the true evolutionary step for the series. 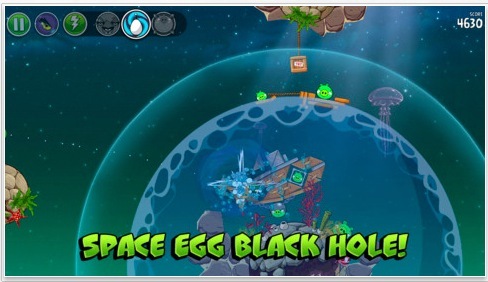 It takes the familiar Angry Birds gameplay and introduces a massively disruptive gravity system, requiring you to take astrophysics into account when lining up that next Shot. $0.99 for iOS and Windows Phone 8 and Free for Android. 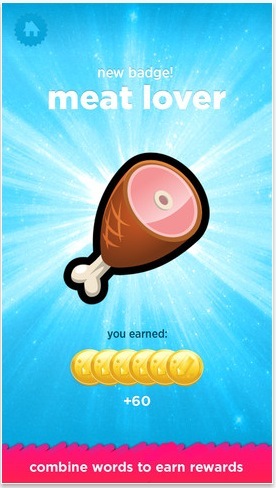 If there was a prize for the most weirdly beautiful puzzler of 2012. Splice would undoubtedly win it. It’s all about interacting with strings of molecules in order to grow them. Less of a game and more of joyfully experimental play thing. 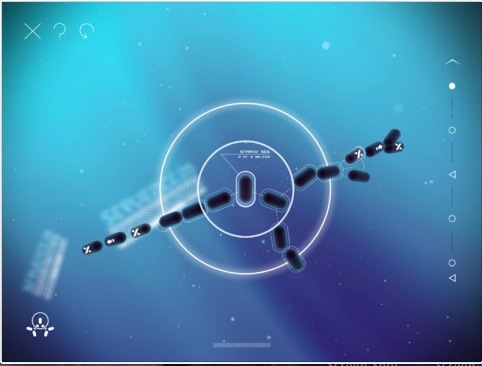 Splice was one of the most unique gaming experiences of 2012. It hasn’t been out for that long at the time of writing, but it’s already abundantly clear that Curiosity is a game changer. 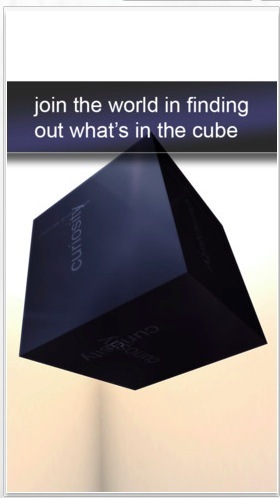 Every player is tapping away at the same giant cube, chipping away millions of tiny blocks in order to uncover the next layer and hopefully the life-changing one-off prize that lies within. 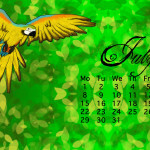 The year started with the launch of one of the most refreshing puzzlers to hit smartphones in quite some time. 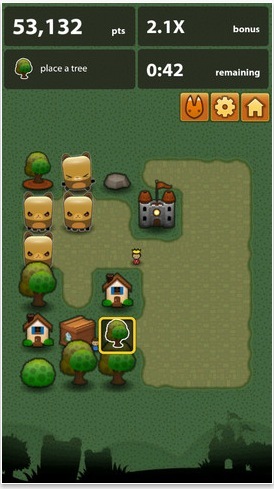 Triple Town mixes match-three puzzle mechanics with strategic town planning elements to create a whole new sub-genre. Its simple looks hide a devilishly deep experience. 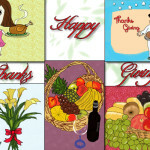 Draw Something was all anyone with a smartphone was doing for a good chunk of 2012, thanks to its assured take on social gaming, The idea is simple – online chirades. You sketch out a preset word and send it to a friend, who must then establish what it depicts in as few guesses as possible. Free for iOS and Android and $2.99 for Windows Phone 8. 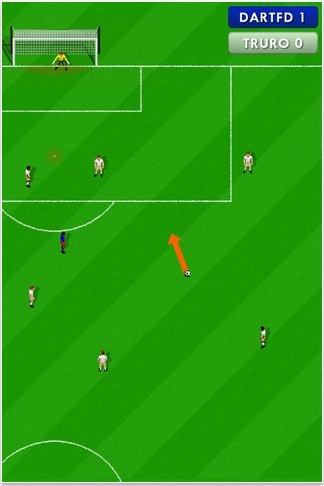 Now this is how you do footy on smartphones.New Star Soccer places you in partial control of a single player and asks you to intervene whenever he gains possession, picking out passes and bending shots with an intuitive touch-and-drag system. Combined with RPG-like character progression, it’s almost unputdownable. Free for iOS and $2.99 for Android. 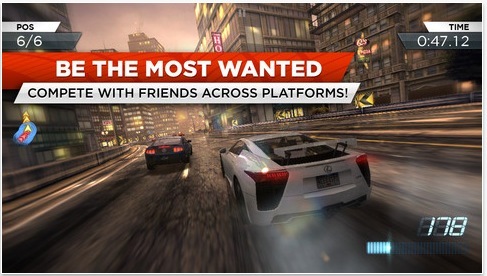 If you wanted arcade racing thrills on your smartphone in 2012, one game really stood out from the field. Need For Speed: Most Wanted is every bit as thrilling as the console series thanks to its unbelievable speed, slick controls and stunning graphics. $0.99 for iOS and $4.99 for Android. Here’s another game that tasks you with finding out what’s inside a big mysterious box. This massively atmospheric iPad-only game is full of puzzles, and riddles, all hidden within fantastic clockwork contraptions. 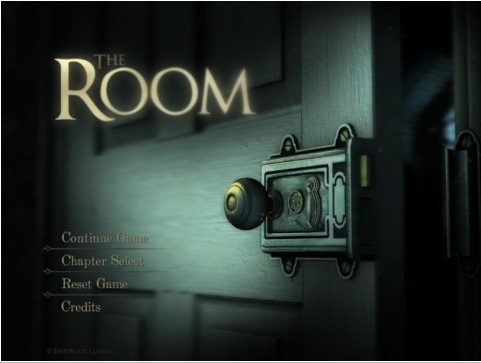 After playing through The Room, every other puzzle game seems slightly dull and unambitious. We had to wait almost four years for a sequel to Subatomic’s genre-defining best tower defence game, Fieldrunners, but it was well worth the wait. 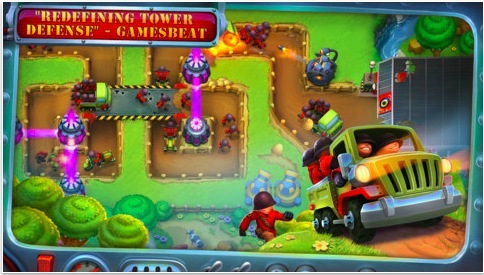 Fieldrunners 2 gives you more of everything – more levels, more variety, more defensive turrets, more polish, more tactical possibilities. Which is exactly what we wanted.